Step1. Launch the GIMP and create a new image of 256x768px. Go to Filters>> Render>> Solid Noise. And in the pop-up enter the values as shown in the fig1 or choose one of your own by hitting ‘New Seed’ button. Finally press OK button to render the noise. Step2. Create a new layer over the current layer. Go to the Tool Box and select the gradient tool and in the Tool Options select the shape of the gradient as Bil-linear and enable Adaptive-supersampling. Create a new layer over the noise layer and draw a small gradient over the new layer (see fig3). One thing to remember here is that you should try to draw the gradient over the part of the solid noise which contains most white and its surrounding areas are darker that is where you get good contrast. This time we will learn the procedure for creating a lightening bolt sprite from the GIMP. Lightning bolts finds good used in 3D game SFX like zapping an item or enemy from an electric weapon or denoting tension in scifi looking area or just a natural lightening bolt to enhance the environment mood. Step3. 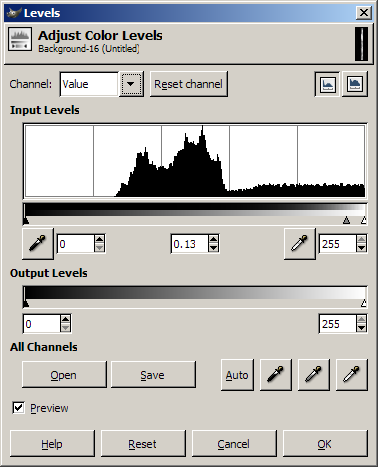 Go to the Layers dialog box (fig4) and change the layer-mode of the gradient layer to Difference. Immediately you can see the formation of bolt. Now do Image>> Flatten Image. To flatten all the layers into one single layer. No go to layer>> Color>> Invert to invert the color of the layer. Step4. What you get is a streak of two lightning bolts (fig5), but these bolts are hardly usable as they are virtually glued together. Go to Layer>> color>> levels (fig7). This will bring up the Level adjust dialog box here drag the input levels mid pointer towards right while you do this you can also see the formation of two clear lightening bolts(fig6). Adjust the amount of sharpness you want then press ok.
Step5. To separate the lightening bolts as alpha channel you will need to convert black color to alpha. To do that go to Layers>> Transparency>> Color to Alpha(fig8). 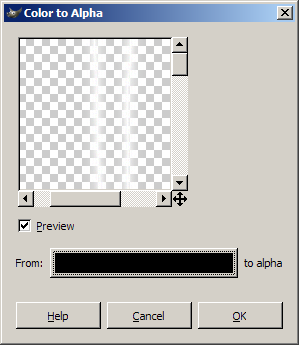 In the Color to Alpha dialog click the from button and choose black color then press ok. You now have an alpha based version of the bolt save it in the formats that support transparency like PNG or TGA etc. Although this method only generates pretty straight bolts you can compliment it with the noise generation plug-ins for the GIMP called plasma2 etc. 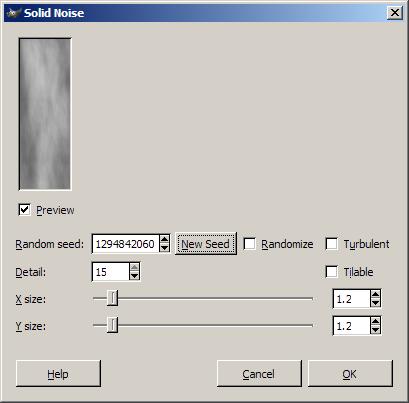 They will allow you to have pretty much random noise generation which in turn can result in more varied bolts. I hope it had provided you with a nice and easy way to create lightening bolts.